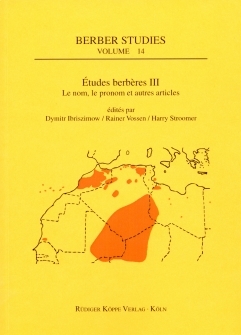 [...] this issue of Berber Studies is a very useful and rich collection of papers for all those who are interested in the study of that language family. Even if the individual papers themselves are heterogeneous in terms of quality of form or content, the variety of topics and approaches shows the vitality of Berber research. The series Berber Studies is undoubtedly the most dynamic and comprehensive collection allowing access to various domains of Berberology.